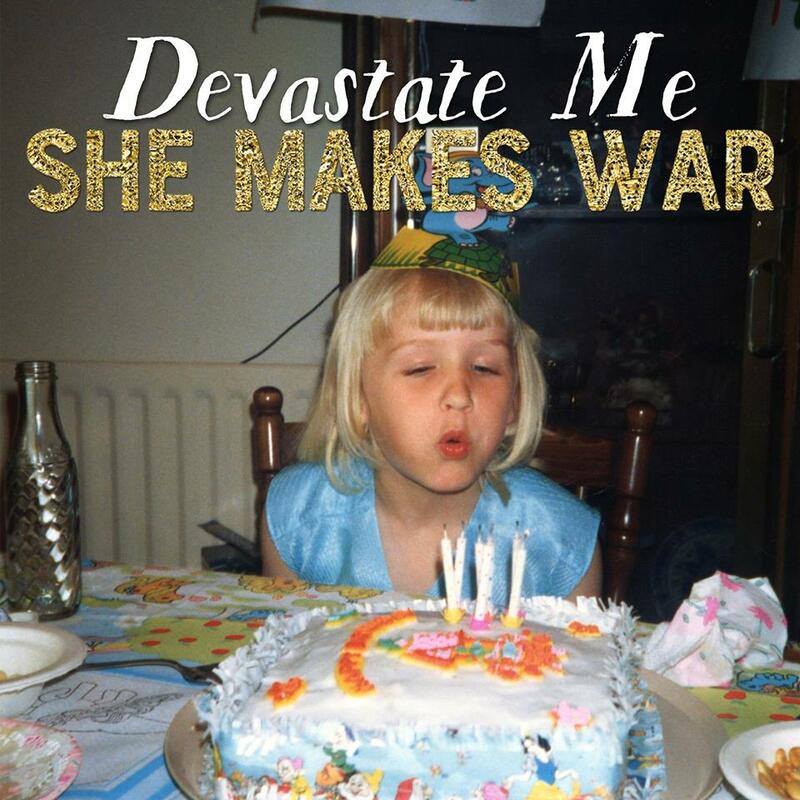 Devastate Me is the first track to be taken from She Makes War's fourth album Brace For Impact which is due out on September 28th ahead of a UK tour. The single represents a departure in style for the musically diverse multi-instrumentalist, but still remains true to her uncompromising independent approach to her music. She Makes War tours the UK in October and November, calling at Leeds Brudenell Social (October 18), Glasgow Hug And Pint (19), Manchester Castle Hotel (20), Leicester Firebug (23), Norwich Epic Studios (24), London Sebright Arms (26), Brighton Hope And Ruin (27), Birmingham Hare And Hounds (31), Oxford Jericho Tavern (November 1), Southampton Heartbreakers (2) and Bristol Thekla (3). The album can be preordered here.